Three wins from three under Ole Gunnar Solskjaer and the grey skies are starting to clear in the North West of England. Manchester United have been in scintillating form, albeit against lesser opposition, but their fans could not have wished for a better introduction to life under the Norwegian manager. Newcastle United are hovering over the relegation zone and limited funds for manager Rafa Benítez in the January transfer window is likely to damage their chances of remaining in the Premier League. The Magpies picked up an important point away to Watford last weekend, but this match is an entirely different prospect with the Red Devils coming to town in such high spirits and their odds on a top four finish cut to just 7/2. Benítez has endured some tough results this season but has also given teams a run for their money with the limited resources he has at his disposal. One player in particular, Salomón Rondón, is going to cause Manchester United’s defence a fair few problems with his physicality and aerial presence in-and-around the box. Here are some selections to consider betting on. Although Manchester United are not perfect and the fans under no such illusion that they can go and finish in the top four and pick up some silverware, attitudes have changed around Old Trafford. No longer are the players shackled to their very strict positions, they now have the freedom to push forward in numbers and attack the opposition’s box. No player has emphasised that more than Paul Pogba, who has added seven goal contributions – four goals and three assists – in Solskjaer’s opening three game as boss. The Frenchman has been in sensational form, popping up in the box with some beautifully-timed headed goals and strikes from distance, something that was rarely seen under José Mourinho. In Man United’s last three games they have scored at least three, while there have been over 2.5 goals in the club’s last eight. United are scoring at ease at the moment through the likes of Jesse Lingard, Marcus Rashford, Anthony Martial and Pogba. Throw in a fit Romelu Lukaku and Alexis Sánchez and the Red Devils have plenty of options to get the better of the defences they face. Newcastle have scored the second-least amount of goals in the Premier League this season, but they now find themselves with an in-form striker in Rondón. The Venezuelan is a handful in the box and United have shown that their main weakness is defending from set-pieces and in the air. It is clear that Rondón’s job will be to get in between the two central defenders and cause mayhem. This game is priced at 4/6 to see over 2.5 goals with Bet365, while William Hill offer odds of 13/8 for over 3.5 goals. Interestingly enough, Manchester United have been both winning at half time and full time in all of Solskjaer’s three games to date. While that record cannot go on forever, there is a good chance of the Norwegian extending that run against the Magpies. Since Solskjaer took over from Mourinho, there has been a huge shift of attitude in how the Red Devils play. No longer are they sitting on the back foot, waiting for the opposition to make a mistake, but instead taking the game to them and forcing them to concede. The constant pressure from United’s attackers, along with their vibrant movement, is what is undoing defences. Man United look sharper in how they approach their games now and start on the front foot. 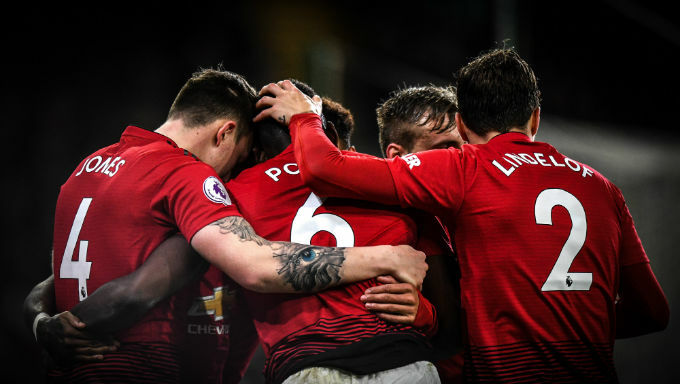 In the past they have been criticised for only playing and waking up once they have gone a goal behind, but Solskjaer has ensured that United start brightly and get out in front as quickly as possible. Newcastle might not have conceded as many as the teams around them, but when the floodgates open, they tend to be on the receiving end of a mauling, such was their game against Liverpool. Manchester United are 27/20 to be winning at both half-time and fulltime with Mansion Bet. While Solskjaer has sorted out United’s inefficiency problem in attack and moving forward in transitional periods, his primary focus will be to now solve the issue in defence. They have conceded one goal in each of their last three games, which has arisen from poor defensive marking from set-pieces or aerial crosses. It is now Solskjær’s job to try and give United’s defence the best possible chance in thwarting the danger from Rondón, who will be waiting for the ball to come in from the wide areas. With Eric Bailly suspended after his red card against Bournemouth, Phil Jones is likely to reappear in the first team alongside Victor Lindelöf. While both have played together under Solskjaer, their relationship is still fairly novice in terms of consistency and have been beaten in the air on many an occasion. United’s wait for a clean sheet under Solskjaer is likely to go on with Newcastle playing at St James’ Park and knowing full well that if they can get the ball into the box, they will have golden opportunities to find the back of the net. Both teams to score is the best way of making money off this, priced very fairly at 8/11 with Betfair.